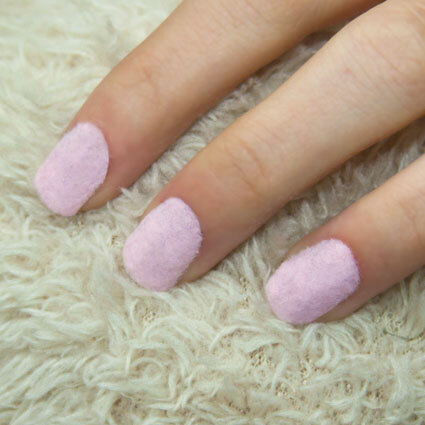 The idea of this product is to create a furry or fluffy effect on your nails; Well it does and it looks mad! I have bought a light pink version for myself for £2 from Superdrug store www.superdrug.com. To be honest it cannot be compered to high-end branded products in terms of longevity (in my experience it lasts only up to 24 hours) and quality can be improved on, but I think it is still a product worth having in your collection to create a fun design on a budget. Let me know if you have tried it out yet and what do you think?